- Finishing as per customer requirement. - Used for Commercial & Residential, Interior & Exterior, flooring, cladding, countertops, Vanities, etc. 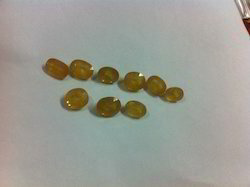 This Yellow Stone, popularly known as sapphire has qualities to improve health and wealth. 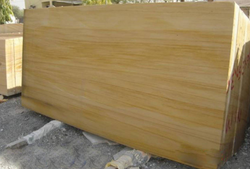 Abiding by the ethical norms of the industry, we are engaged in offering high quality Yellow Stone (Jaisalmer). Procured from the authentic vendors of the market, these marbles are stringently tested on different parameters of quality and then forwarded for the end dispatch to the customers. 30mm slides in our 'A' grade quality with customers require sizes.